The FDA has updated its investigation into the multistate outbreak of Listeria monocytogenes in Dole Leafy Greens produced in the facility in Springfield, Ohio. Nineteen people infected with the outbreak strain were reported in nine states. The outbreak stretched from July 2015 through February 2016. The case count per state is: Connecticut (1), Indiana (1), Massachusetts (1), Michigan (4), Missouri (2), New Jersey (1), New York (6), Ohio (2), and Pennsylvania (1). Seventy-four percent of all ill persons were female. All nineteen people sickened in this outbreak were hospitalized, and one person died as a result of listeriosis. One of the illnesses occurred in a pregnant woman. 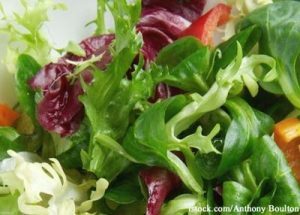 The Ohio Department of Agriculture collected a Dole brand Field Greens packaged salad from a retail location and isolated Listeria monocytogenes from it. Whole genome sequencing showed that the isolate from the packaged salad was closely related genetically to isolates from ill people. The FDA states, “this information linked the illnesses to Dole brand packaged salads produced at the Dole processing facility in Springfield, Ohio.” Dole issued a recall on January 27, 2016 of all packaged salads made at its Ohio processing facility. 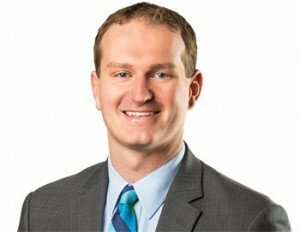 Attorney Ryan Osterholm has filed several lawsuits on behalf of clients sickened with Listeria monocytogenes infections after eating recalled Dole salad products. You can contact Ryan by calling 1-888-377-8900. On January 22, 2016, the Canadian Food Inspection Agency (CFIA) issued a warning for the same products. The recalled salads were shipped to five provinces in Canada. There was a Listeria monocytogenes food poisoning outbreak in Canada linked to packaged salads produced at the Dole Ohio plant that sickened at least 14 people. Three people died in Canada, although “it has not been determined if Listeria contributed to the cause of those deaths,” according to the Public Health Agency of Canada. The products in the United States that were affected by this recall include the brands Dole, Fresh Selections, Simple Truth, Marketside, The Little Salad Bar, and President’s Choice Organics. The recalled products had a product code beginning with the letter “A” on the packaging below the “best if used by” date. The recalled salads were shipped to these states: Alabama, Connecticut, Florida, Georgia, Illinois, Indiana, Kentucky, Louisiana, Michigan, Massachusetts, Maryland, Minnesota, Missouri, Mississippi, North Carolina, New Jersey, New York, Ohio, Pennsylvania, South Carolina, Tennessee, Virginia, Vermont, and Wisconsin. They may also have been shipped to other states. The symptoms of Listeria monocytogenes food poisoning include flu-like symptoms such as fever, chills, muscle aches, diarrhea, nausea, vomiting, stiff neck, loss of balance, and headache. Symptoms usually begin within a few weeks of exposure to the pathogenic bacteria, but sometime the illness can take up to 70 days to appear. Pregnant women can have serious consequences from this infection, including stillbirth, miscarriage, premature labor, and infection in the newborn baby, even though they are only mildly ill. Since Listeria monocytogenes bacteria can grow at refrigerator temperatures, if you did buy one of the recalled Dole salad products, wash out your fridge with a mild bleach solution and wipe down food packages stored in the refrigerator. This will kill any remaining bacteria. Listeria can also contaminate any food cut or served on plates or utensils, and can contaminate other foods stored in the refrigerator. Heat will kill Listeria bacteria, so washing utensils and plates in the dishwasher on high heat settings will sanitize those items.